Who Should Build Your WordPress Website For Your Church? What Is the Best Church Website Builder? So you are thinking about building a church website using WordPress. Smart move! Here are just a few of the reasons for creating a church website using WordPress is the way to go for the average church wanting to impact their community. WordPress is a free content management system used by more than 60 million websites. 26% of the web is powered by WordPress, including The New York Times, People Magazine, National Geographic, and Forbes. Because WordPress is the most extensive content management system, there are a lot of themes (templates) for churches available that enable you to design a church website that fits your mission and values, along with your style. WordPress allows you to have more than one person manage your church website making it excellent for different volunteers to add content to their section of the site. For instance, your Youth Pastor can add the youth events or give a testimony of what is happening in the youth department, and at the same time, your Women’s ministry director can update what is happening with the Women’s ministry. A WordPress church website does not require anyone at your church to know or understand coding. Any leader or volunteer can run a church website. Trust me; I did not know one thing about WordPress or sites seven years ago when I first started out with our first church website. There are multiple plugins available for WordPress that will help you build the type of website you need. Whether it is to put your sermons on your website, import your church’s Facebook page, or to have a beautiful picture gallery of your latest mission trip, there is a WordPress plugin that will make that happen. When you build a self-hosted church website with WordPress, you own the content. Nobody can remove the content or do anything with your website that you did not do, or approve to be done. Pastoring in Silicon Valley has a few advantages. One is the connection with techies that build church websites. They gave me the example of Risen Church in Los Angeles that shows you just how far you can go with a church website created with WordPress. With its video backgrounds and simple user interface, it is by far the most professional looking church website I have ever seen. The folks at Glad Tidings Church in Omaha Nebraska know how to build a website that invites you right in. The first thing you see is a personal testimony of what God has done in the life of one of their members. If this doesn’t soften the heart of a person considering visiting their church, then I don’t know what will. I think I would be remiss if I didn’t use my church website as an example. Not that it is the best church website out there, but if I am going to teach you about building a church website using WordPress, then I should probably show you that I do know what I am talking about. The Vineyard Church in San Carlos CA. is the place where I pastor. We have intentionally made our church website simple. We are a small church, and we don’t want our web presence to give the impression that we are more than what we are. We value honesty and transparency. So OK, now you have decided that you are going to be building your church website using WordPress. The question now is, “Who is going to build it?” Are you or another volunteer in your church going to be the one that takes on this task or are you going to hire a professional? I recommend you build the site yourself. The reason I suggest that is that you learn by doing. If you hire a professional to develop your website, then you will always be needing the “professional” to deal with issues that may come up in the future. The time you spend now learning a new skill will be invaluable in the future and will save you much money. Yes, you can save time by hiring a professional at first, but later when it comes time to train volunteers or to add content or upgrade your website, you will lose time having to learn it anyways. If you would instead delegate it to a professional that is OK. Just know what you are faced with in the future. I have included some professional church website builders using WordPress at the end of this article. 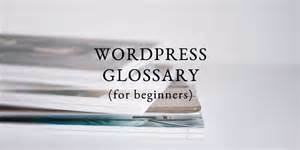 When I first started using WordPress, it took me a while to catch on to the jargon that is used. It is almost like they expect the new user to know what all these things mean automatically. So before I go on, I thought it would be wise to give you just a few definitions that you are going to need to understand what everyone is talking about. WordPress is a content management system. What that means is that it is a program that organizes and delivers your content when a person comes to a specific webpage. In this case, we are talking about your church website. It also provides the right content on the right page. So when they go to your “about us” page, they get information about the church or the pastor, etc. Now there is a difference between the program you get from wordpress.org and the website wordpress.com. WordPress.com uses the WordPress program, but it is not the same as using the application on your website. It is severely limiting which I will go into below. When installed on your church website, WordPress feels like a larger version of a word processing program. Part of what it does is word processing only it doesn’t put out a .docx file or .pdf. It puts out an HTML file that is then embedded on your website. I like to equate WordPress to the physical human body. It is the part that is underneath all our clothes and our accessories. A WordPress theme is our clothes. It is what we put on that makes us look a certain way. It is our style. Some themes look modern and sleek, some look plain and minimal, and honestly, some seem old and worn out. With a WordPress website, you install them on top of the WordPress program. There are free themes and premium themes which I will go into later, but suffice it to say, you usually get what you pay for. A Plugin is our bling. It is our accessories that we put on our clothes. Some are practical like a watch or a tie clip. Others are nothing but style options like jewelry or cool sunglasses. You install plugins into your WordPress program. A plugin can add features like importing all your church Facebook page events or activities directly to your church website. They can help you keep your sermons organized or help you get discovered by people using search engines when looking for a church. There are thousands of plugins you can use. Hosting is where the party is being held. You have gotten out of bed, put on your clothes, and you have your bling all situated, but you need a place for your new website to be shown off. This is called hosting. Now that is different from having a domain name. Your domain name is the address of the place where the party is being held. The hosting is the actual building on the property. 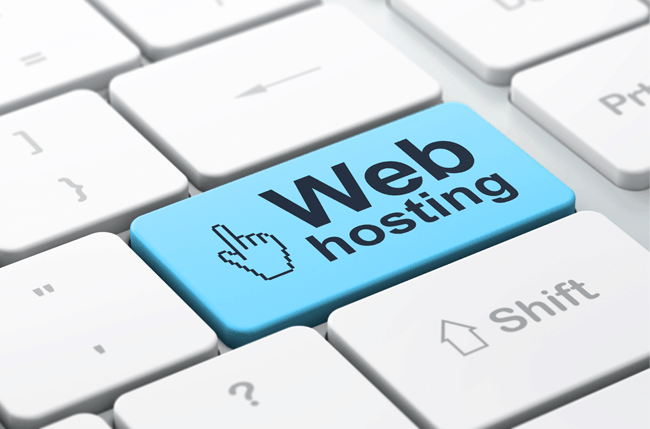 So you will need to rent a building for your church website to be hosted at. There are good hosting companies and some pretty bad ones. I will go into those more in detail below. There are several steps when you start building a church website using WordPress. I have given you a logical outline of each step along the way, but I want to address a step that needs to be taken in your head first. Building your church website will be a lot easier and more satisfying if you approach this as a learning experience rather than just a task to be accomplished. When we are in learning mode, we are much more apt to ask questions, step back and think, and become less frustrated when we try to do something, and it doesn’t work the first time. I can guarantee you that you will have questions. You will try something and it doesn’t work, or you can’t find the button, section, or some other area on your website that you need to click. There is a learning curve here. Just embrace it and enjoy the journey of learning something new. It will save you a ton of frustration. There are thousands of videos on YouTube that will show you each step of building a WordPress website. There are thousands of articles on each step of the process on the internet. So don’t stop and throw up your hands and say you can’t do it. Yes, you can. Just learn how to become a researcher that finds the answers to their questions. The most important thing you can do is plan your church website before you ever build one thing. Most people understand that their website needs to be focused on the people using the website, but they don’t realize that it also needs to be focused on being optimized for search engines like Google. It does no good to have a great website, but nobody can find it when searching on Google for a church to go to. So you need to stop and ask yourself some questions. If I was new to my community what would I ask Google for when searching? “Charismatic church in mynewtown” “Non-denominational church in newcity” etc. Not only that but what type of activities or events would you search for that might lead you to a church? This is very important so don’t skip this step. What is the purpose of our website? Is it so people can keep up on current events? Is it a hub for your community building? Is it a resource for your entire town serving them with current city events as well? How does our website model our values? How do we want to organize our content? Will we have a blog? Will we have podcasts or videos? Will we feature our small groups? Will the youth have their section? There are probably many more questions you need to ask before you get started. Maybe sit down with people of all ages and demographics in your church and have a brainstorming session. Ask them what would be a helpful website both for your members and your community. Ok, now you are ready to start building. The first thing you need to do is buy a domain name for your church. This is the address where your church will be found on the internet. You can buy a domain name at GoDaddy.com This is the only time I will recommend GoDaddy for anything. They really can’t mess up a domain name. Whatever you do, do not buy hosting from GoDaddy. Their service and customer support stinks to high heaven! When choosing a domain name, keep in mind that it needs to be memorable for people and hopefully will have a word or two in the name that will make it relevant for search engines. Let me pick on the domain name for our church. It was chosen before I got there. Our domain name is godshack.com That is highly memorable for people. It kind of fit with our culture of being laid back and casual. However, it is not a great domain name from a search standpoint. The only clue in the domain name about what our website is about is the word, God. It is also a .com rather than a .org. Domains with a .com are commercial domains thus the .com. Domains with a .org are organizations. A church is an organization, not a commercial enterprise. You could choose “AssemblyOfGodChurch.org” however I can tell you that you will never find just “assemblyofgod.org” It will be taken. Same with “baptistchurch.org” or “christianchurch.org” etc. So you need to be more specific. mycityassemblyofgodchurch.org or christianchurchofmytown.org or firstbaptistchurchmycity.org etc. Even cool hip names of churches are normally taken like “encounterchurch.org” or “newlifechurch.org” so you will have to make your name unique in some way. Once you decide on a name, you can buy your domain name for around $15.00 or less depending on the deals going on at the time. I am going to caution you right away. Do not go with the big box hosting providers like GoDaddy, Blue Host, and Media Temple. Although they might offer some great deals to get you into the door, their business model puts too many clients with not enough support. My personal experience with GoDaddy and Media Temple has been that they outsource their customer support and when you call with a problem they have template answers based on your supposed problem. If you like customer service as AT&T has then gone with these companies. If you want to be able to get somebody that knows about websites, then avoid them like the plague. One of the things that bug me about the church world is their continuous pursuit of free. I understand the budget constraints of a small church. I pastor a small church. However, I think many times we look for free because we are unwilling to spend any money on things we don’t have to. 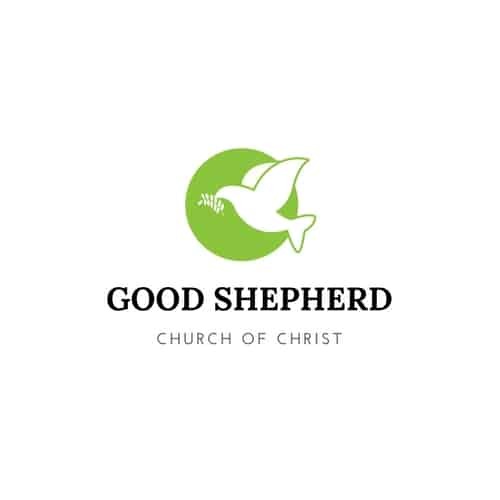 We believe that is good stewardship. It isn’t. You get what you pay for. Your church website is not just something else you need to have. It is as relevant today as having an ad in the yellow pages was 30 years ago. You didn’t search for free ads in the yellow pages, did you? Now that being said there are a couple of small hosting companies that do offer free WordPress hosting for churches because they want to be a blessing. I have not used their services, so I don’t know how good they are, but you can check them out. Both of those allow you to build a self-hosted WordPress website for your church. A couple of other options are to use WordPress.com or Blogger.com. However, I highly caution you about those choices. Both of those sites along with the other free website builders out there have some very concerning terms of service including the right to remove your website for any cause, place advertising on your website without your permission, etc. Do you want wine advertisements on your church website? I have seen it before! Not every hosting provider is created equal. Over the seven years I have been using WordPress I have found some that know what they are doing and a few that are overpriced. Many people are recommending WpEngine, but they want way too much money for what they provide unless you are a megachurch with millions of visitors to your website per month. There are three things I look for in hosting. Speed, customer service, and experience with WordPress. Two of those are apparent but speed is sometimes overlooked or not thought about when looking for hosting. Google has said that user experience is part of their ranking factors. A website that loads slowly causes a bad user experience. You need a hosting provider that is blazing fast. My church website loads in less than a second according to Pingdom Tools. These two hosts meet those requirements. My other websites, including this one, use cloud hosting. I didn’t recommend it for your church website because it is a little bit more complicated to manage and I am assuming this is your first time building a church website using WordPress, and so I didn’t want to make things harder for you. Usually installing WordPress on your website is quite easy. Both Siteground and A2hosting have one click install feature. Just log into your hosting account and click their one-click install feature. If you have trouble, your hosting provider will be happy to help you. If you already have a website on your domain, you can install it on a directory like yourwebsite.com/new. Once you have everything set up, then you can move it to your primary domain. Again they will be happy to help you do this seamlessly. In some cases, if you already have a church website on another platform, you may need to ask your hosting provider for a temporary URL to build your new WordPress church website on. They will give you an URL for you to use. Once done, then you will go to the company you bought your domain name from and point your domain name to your hosting. Your hosting company will give you what is called the nameservers that are used by your hosting company. You log in to the company you bought your domain from, go to where you manage DNS settings, and replace the current nameservers with the ones your hosting company gives you. There are a few things you may want to consider when choosing your theme for your church website. You want something that reflects the vision and values of your church. You don’t want to give one impression online and another in person. Make sure the theme can customize colors, fonts, background, etc. Make sure that your theme has responsive design. That means that your website will resize itself based on the screen size of the device that is accessing your website. This is hugely important since many people use mobile phones and tablets to search online for something. This includes searching for your website. The primary WordPress website can create pages like a ministries page, beliefs page, service times page. It also can create blog posts like the pastor’s thoughts on his upcoming message; youth ministry reports etc. It also can create picture galleries. What you want to look for in a theme is customization. Does it allow you to have great sermon pages, a great upcoming event page, and features for your church staff, etc.? These are the things you want to look for. What that means is that you should think twice if the theme has features that can only be used as long as you use that theme. What happens if you build your church website with that theme, then at a later date you want to upgrade or switch to a different theme? If everything is based on a feature that only works with that theme, then everything you have done in the past will either be lost or have to be converted to another format to work. You don’t want to be locked into always having to use that theme. You will want flexibility. I cannot emphasize more how important having proper support and documentation is. Most free themes lack in this area, but the premium themes usually have both great documentation and support when you have a question about how to do something with their theme. To install your WordPress theme on your church website, log into your basic WordPress install and look at the left sidebar. There you will see the appearance. Hover over appearance and then click on themes. It will take you to a page that shows you the themes you have installed. Click on add new. There you will be given the choice of searching for free themes or uploading a theme to your website. If you bought a premium theme, click on upload new theme. Then find the .zip file you were given with your purchase. Usually, it is in the downloads section on your computer. Upload the .zip file and then when it uploads, click Activate. Your new theme should be installed. Follow the theme’s documentation on how to set up each part of the theme to make it your own with your customization. Here are some suggestions for themes you can use when building a church website using WordPress. Premium themes will cost you anywhere from $25.00 to $90.00, but in my opinion, they are well worth it. With documentation and videos available, along with support teams, you will get your money’s worth. Here are five premium WordPress themes for you to explore. There are many others, but at least these will give you an example of what is out there. Like I mentioned earlier, plugins are like your bling. They are your accessories. There are practical accessories like a belt or a pair of suspenders, and then there are style accessories like jewelry or sunglasses. The modern church website you are building with WordPress will need some plugins. Here is a list of the minimal plugins I would use on a church website. However, first let’s go over how to install a plugin. In your WordPress dashboard look again at the left sidebar. Hover over plugins and then click add new. There you will be taken to a page that has some of the most popular plugins available. At the top, you will see a search bar. For free WordPress plugins, you can search for it in the search bar then click install. After it is installed, you then click activate and follow the directions that are available on the by the plugin designer. You should use a couple of plugins that will help you with your SEO. SEO means search engine optimization. One of the type of plugins you will want to use is an on-page optimization plugin. Two plugins I recommend are these. You don’t need both. You can choose either one. Both of those plugins come highly recommended and have millions of people using them. I use Yoast on all my websites. The other type of SEO plugin you need is a caching plugin. A caching plugin keeps a copy of your website in a file so that every time a user visits your site, as long as the site hasn’t changed, it serves up an optimized version of your site to speed up delivery of your website. I recommend two free plugins and one paid plugin. Page builder plugins help you design your pages to make them look like you want them to look. There are many different page building plugins out there. My only caution concerning these plugins is to understand that many of them use what is called a “shortcode” to make their design changes. As long as you have that plugin installed, then it works fine, and your page looks great. If ever you change plugins or decide to stop using it, then they do not remove the shortcode from your pages and leave a bunch ugly text on each of your pages. So try to decide which page building plugin you are going to use and stay with it. It is much work to switch. Trust me, I know from experience. Here are 4-page building plugins you can choose from. Contact forms are a way people can contact your church, pastor, or other key leaders in your church without giving out your email addresses to spammers. I recommend contact form 7 as the plugin to use. The most important part of your church website is its content. I cannot number how many times I have done an audit of a church website only to find what I call a postage stamp church website. One or two pages of content that indeed doesn’t compel anyone to visit their church. Remember earlier I mentioned that you need to think about what people will want to know when coming to your website, and what people will search for in trying to find a new church in the community. A small website with a page of service times and 1 paragraph about the church will never accomplish either task. So please take a moment to go over with me some of the things that make a great church website for both church visitors and the search engines. The first thing you will need to understand is that there is a difference between pages and posts when using WordPress. Pages are stand-alone pages that don’t change. Things like service times, about pages, and ministries are put on pages. Posts are not as static. They are grouped into categories. Things like your pastor’s blog, youth reports, women’s ministry activities and the sermon notes or videos are all put in posts. The biggest thing I see with most church websites is that they do not have an understanding of how to make their sites rank on the first page of the search engines. They may do a great job serving their visitors, but they are missing hundreds of visitors they could have because they can’t be found on Google’s first page. Most people do not search beyond the first page. I obviously cannot go into all the things that you need to do for optimal on page optimization but here are a couple of tips. Keywords are the terms that people would use to search Google or Bing. For instance, I have optimized our church website so that when people search for churches in my community, they see our website. This is not as automatic as it seems. Search engines crawl your website looking for the words that are on the website. If you never talk about your community, or you never talk about what type of church you are, then you will never be found. As an example, this article is optimized for the keywords “building a church website using WordPress.” You may have noticed I put that phrase in bold lettering at the beginning of this article. I wanted you to see because I knew I would talk about this. When optimizing a post or page for SEO, you want to use the phrase you are targeting in the first paragraph, last paragraph, and lightly throughout the page. This lets the search engines know what that page is about. Just don’t overdo it. Use the phrases naturally. Another tip for you to do is that you make sure you link to different parts of your website from your posts or pages. For instance, if you have home groups in a neighboring community, then every time you mention that community, you should link to your page showing the home groups there. If you have an active youth ministry, then every time you mention the youth of your church, you should link to the page that shows your youth ministry. Every page should have 2-5 links going to other pages. If you have installed either the Yoast SEO plugin or the All In One Plugin, then both of them create your sitemap. To submit your sitemap to Google, then sign up for a free account at Google Search Console. Then you can send your sitemap to Google. If you want to put your audio or video sermons on your church website, it is not that hard. Most problems come when you try to host the files on your website as well. Cheap web hosting even from quality web hosts are not designed to take that much of a bandwidth load. It is better if you have them stored on another service like Facebook or YouTube or even SoundCloud and then embed them onto your website using code. When it comes to Facebook and YouTube, usually all you have to do is paste the link of the video on your post, and it will automatically embed. I am not sure about SoundCloud. It has been too long since I have tried it. The problem with this method is that it takes you manually doing it every week or every time you have a new sermon, video, or church announcement. However, I have found a plugin that will make that automatic from your Facebook page at least. I would imagine there is one for YouTube as well. You will want to make sure you have an upcoming events page. This should be something more than just announcing your Sunday and Mid-Week Services. It should be something that lets your community know all the different activities they can be involved in at your church. Believe it or not, we have had visitors come and have breakfast with me during my monthly leader’s breakfast. It didn’t bother me and was a great time to meet people in a non-threatening event. Again, it is essential that this be kept up to date. Nothing smacks of neglect more than visiting a church website, and their last event shows that it happened a year ago. It makes you wonder if the church is even open any more. I have an article on how to make free graphics for your church. However, in that article I do not mention that one of the websites, canva.com has a free logo feature that makes some pretty good logos. Here are a couple of examples. Finally, you have set up your church website using WordPress. 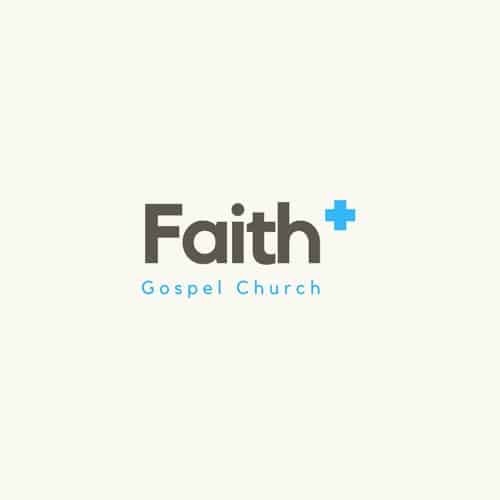 You have made your logo, written your pages, added some events and sermons and now you are ready to go live. What do you do? 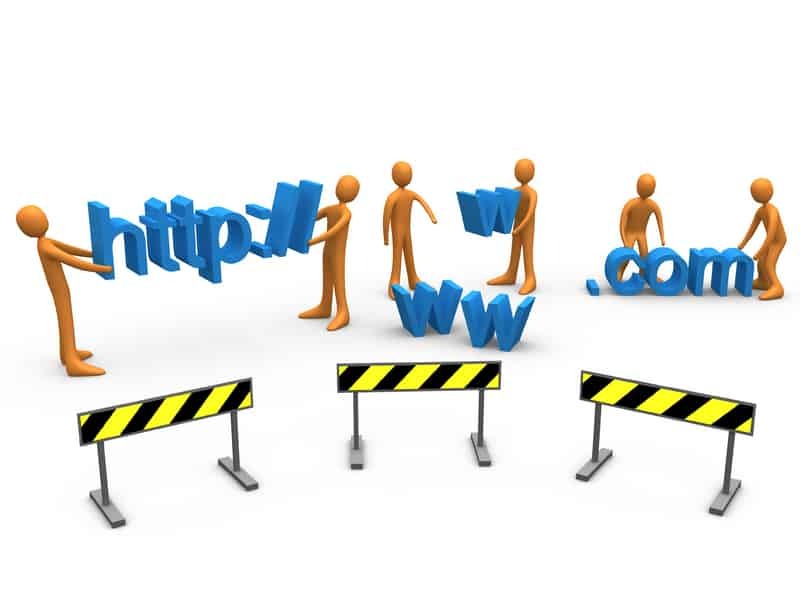 Contact your hosting company and ask them to move your site to the permanent URL. They will help you do that. Go to where you bought your domain and point the nameservers to the hosting company you selected. Wait 24 hours or so, and your site should be live. Congratulations you have just succeeded in building a church website using WordPress! Finally, if all this seemed way too overwhelming for you, you can choose to have somebody do it for you. Here are a few recommendations. Wptheory is a new service by Adam Clark who will launch your website in one day. He has plenty of experience building WordPress-based church websites. ChurchSites.co by Jordan Gillman will build and host your church website using a semi-custom theme that uses the Church Theme Content plugin, for under $1,000. Brad Vos and Mike Morris are both pastors that help churches build WordPress sites. Well, there you have it. I hope this article has helped you. It took quite a bit of time to write it so if you would, could you please let me know if it has helped you and share it with others that might be thinking of building a church website using WordPress. Do you want to know what a church website is going to cost you? Here are some realistic answers for you from an experienced church webmaster.